Washington (AFP) - President Donald Trump's former national security advisor Michael Flynn denied Tuesday that he had joined a Washington firm that lobbies for Qatar. His lawyer said the announcement by Stonington Global was a misunderstanding. The lawyer, Robert Kelner, said Flynn -- who pleaded guilty as part of a probe into possible collusion between Russia and Trump's 2016 election campaign -- "has not joined Stonington and did not personally issue any public statement." "He was aware that a statement was being drafted, but he did not intend that it be issued at this time." Earlier Tuesday Stonington, led by a former Republican campaign consultant and registered lobbyist Nick Muzin, announced that Flynn had signed on as director for global strategy. The announcement was a surprise. Flynn's December guilty plea to a charge lodged by Special Counsel Robert Mueller, who is leading the probe into possible ties between Trump 2016 campaign and Russia, was part of a deal for cooperation which allowed him to avoid much more serious charges of acting as an unregistered lobbyist for Turkey and Russia. "The general's uniquely American story and his commitment to national security, freedom and counter-terrorism are an inspiration to millions of Americans, and we are excited to work with him to promote these values around the world," said Muzin. Late Tuesday Flynn's name and photograph remained up on the Stonington website, which said he "will provide expertise on national security structures, policies and personnel, and help identify new technologies and recommend investments in cutting edge businesses interests for our clients." The company said they will "build on their success of representing the State of Qatar" against a campaign by other Gulf Arab states to isolate the oil-rich emirate over its over accusations that the gas-rich emirate bankrolled Islamist extremists and fostered ties with Saudi arch-rival Iran. Muzin, who was a fundraiser on Trump's 2016 presidential campaign, has also advised a reportedly Russian-supported right wing political party in Albania. Kelner did not explain further what Flynn's ties to Muzin and Stonington are, or comment on whether he would join the firm in the future. 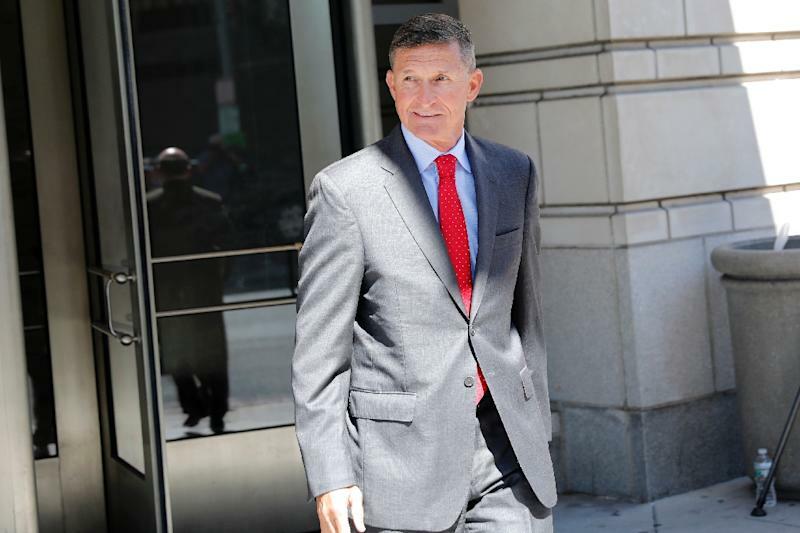 On Tuesday Flynn appeared in a Washington court to discuss his sentencing, which has been repeatedly postponed by Mueller as he apparently continues to draw on Flynn's cooperation in the probe. Prior to his guilty plea late last year, Flynn had been forced out from his national security advisor post, after only 22 days, over concerns that he could be compromised by false statements he made over his contacts with Russian officials and his paid lobbying for Turkey during the campaign. Before that he had been fired by Barack Obama as defense intelligence chief.